The Australian Indigenous Design Charter aims to help facilitate accurate and respectful representation of Australian Aboriginal and Torres Strait Islander culture in design and associated media. The role of the Charter is to assist design practitioners, both Indigenous and non-indigenous. Designers can also use the Charter to promote understanding with their clients and the buyers of design including governments, corporations, businesses and not-for-profit organisations. 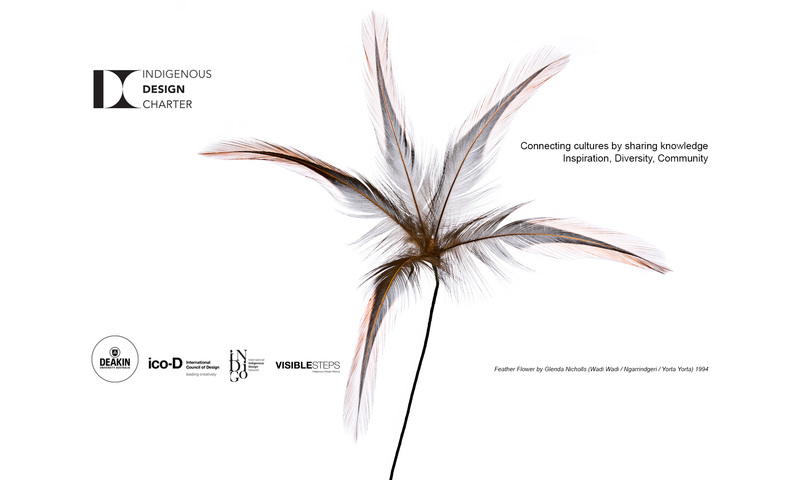 Despite the existence of protocols for the creation, distribution and ownership of Australian Aboriginal and Torres Strait Islander visual and media arts, there was, until the creation of the Charter, a lack of information, guidance and professional leadership regarding the appropriate creation and commercial use of Indigenous graphical representations in communication design practice. This cultural innovation tool responds directly to calls by governments, professional design associations, professional design practitioners and buyers of design to address the need for cultural guidance.